After booking a limited theatrical release for the tail-end of June, today brings forth the heartwarming first trailer for Wiener-Dog, Todd Solondz’s canine dramaedy that debuted to a wave of positivity at Sundance earlier this year. In essence, Solondz’s feature – loosely inspired by his own breakout hit Welcome to the Dollhouse – follows the adventure of the title canine as it moves from one owner to the next. This paves the way for the director to explore four different character vignettes, with the adorable dachshund anchoring much of the story found in Solondz’s peculiar dark comedy. Earning the backing of both Megan Ellison’s Annapurna and Christine Vachon over at Killer Films, it was recently announced that Amazon had snapped up Wiener-Dog, indicating that a debut on the company’s Prime service could be looming on the horizon. Look for Wiener-Dog to trot into theaters on June 24. Ellen Burstyn, Kieran Culkin, Julie Delpy, Danny DeVito, Greta Gerwig, Tracy Letts, and Zosia Mamet round out the core ensemble. From director Todd Solondz (Welcome to the Dollhouse, Happiness), WIENER-DOG is a dark, starkly funny story of a single dog and the many different people she touches over her short lifetime. Man’s best friend starts out teaching a young boy some contorted life lessons before being taken in by a compassionate vet tech named Dawn Wiener. Dawn reunites with someone from her past and sets off on a road trip. 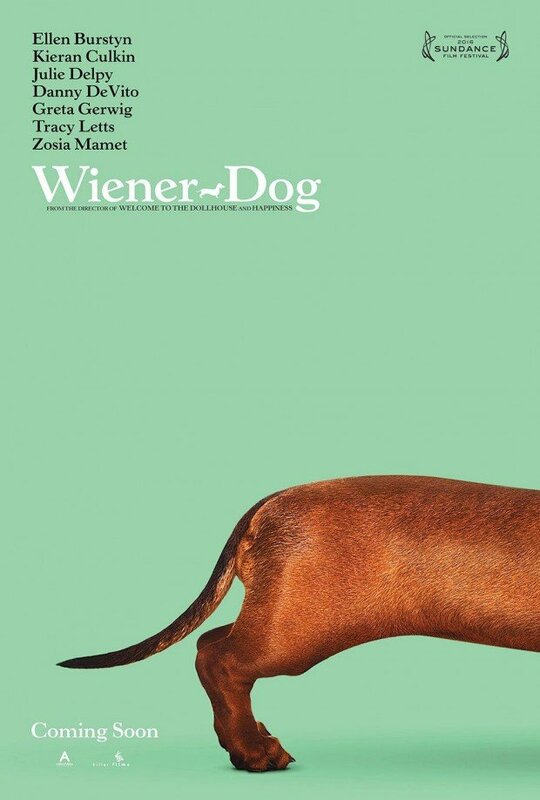 After leaving Dawn, Wiener-Dog encounters a floundering film professor, as well as an embittered elderly woman and her needy granddaughter—all longing for something more. Solondz’s perversely dark comedy offers an appallingly honest look at the American experience, brought to life by its all-star cast.